Apt for high volume washing tasks, the commercial Dishwashing Table with Sink makes the entire task of dishwashing timesaving and water-saving as well. We have become a renowned source to get first-class Dishwashing Table with Sink at rates that will never burn a hole in the pockets. 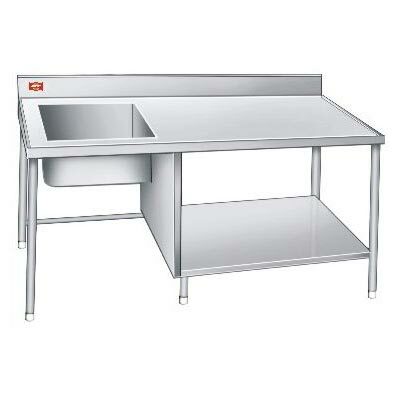 The compact size of the Dishwashing Table with Sink is designed to eat less space in the kitchen area.